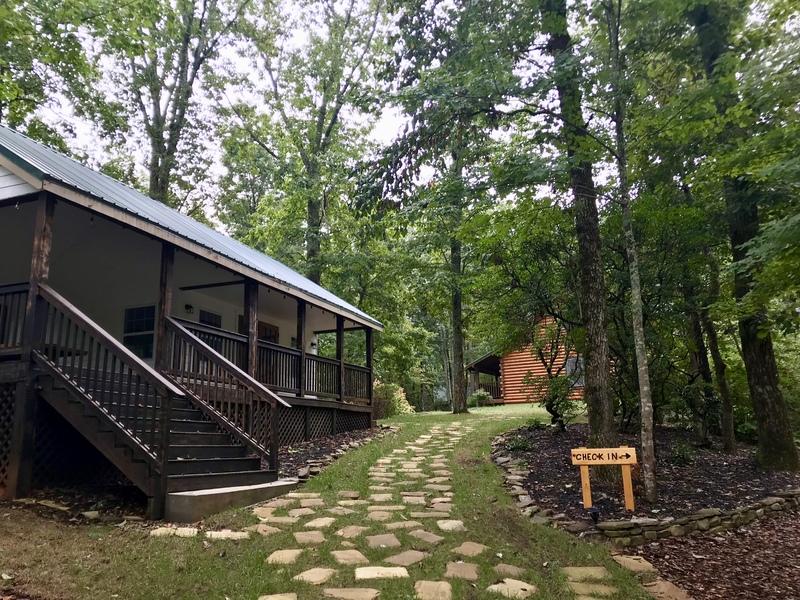 The Hiker Hostel at Barefoot Hills is the perfect retreat from the trails. Six single bunk bed accommodations are available in this communal log cabin styled bunk house. 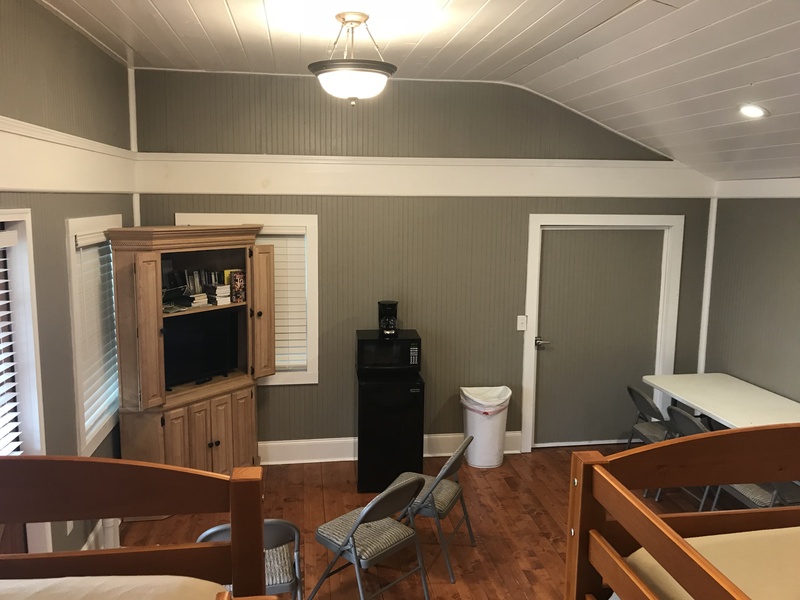 Our most economical offering, these accommodations are ideal for budget conscious individual travelers seeking simple respite from their trail journey. 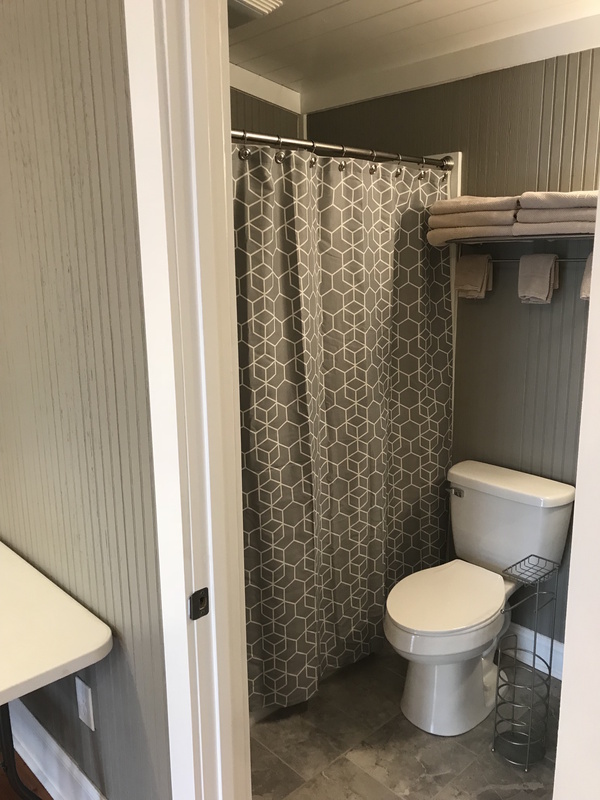 A full semi-private bathroom with shower is located inside of the Hiker Hostel bunk house. 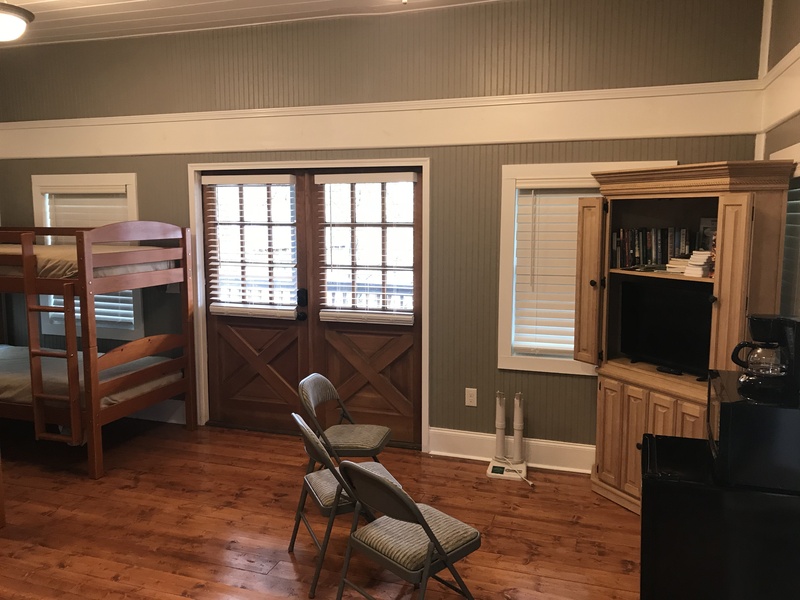 The bunk house also features a television, refrigerator, microwave, and coffee maker. 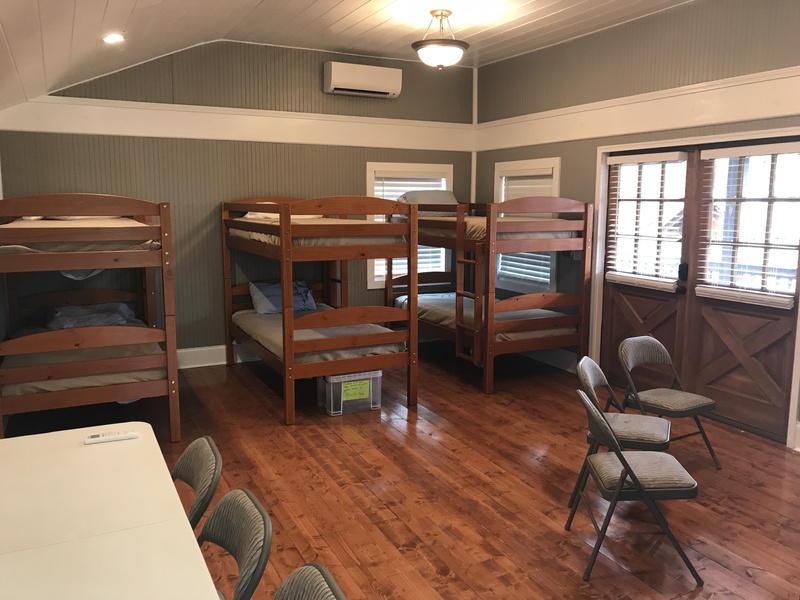 The entire 6 bed bunk house can also be rented for groups traveling together. Perfect for families.